Syria’s war has reached “new levels of brutality”, the UN says, with evidence of fresh suspected massacres, sieges and violations of children’s rights. Children have been taken hostage, forced to watch torture and even participate in beheadings, it says; others have been killed while fighting. It says it suspects there are “reasonable grounds” to believe chemical weapons have been deployed. 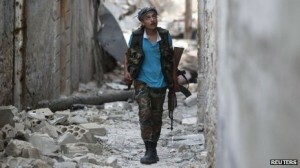 It urges foreign powers not to increase the availability of arms in Syria. The issue of arms has been high on the international agenda of late, with the EU lifting an embargo on the sale of arms to Syria while Russia has insisted it is going ahead with the sale of an advanced S-300 surface-to-air missile defence system to Syria. Prosecutors in Moscow have charged a powerful local politician from the restive North Caucasus region over the murder of an investigator. 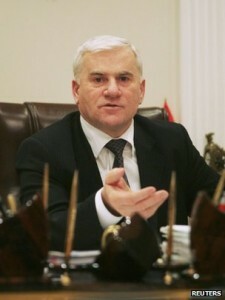 Said Amirov, mayor of the city of Makhachkala in Dagestan, was arrested in a dramatic operation involving a helicopter and armoured vehicles. He was flown to Moscow and charged along with two other men over the murder of an investigator in 2011. He insisted he was innocent and said the case was politically motivated. Mr Amirov and the two other suspects were formally charged with “encroachment on the life” of a law enforcement official, a crime for which they could be jailed for life. Some of those who took part in the 1953 service were among the congregation. Archbishop of Canterbury the Most Rev Justin Welby said the event honoured “60 years of commitment”. The Queen was accompanied by more than 20 members of her family, including the Duke of Edinburgh, who pulled out of an engagement on Monday night because he was feeling unwell. 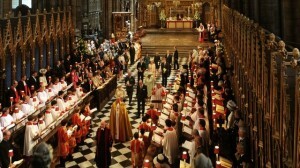 Several key items from the Coronation were placed in Westminster Abbey for the service. 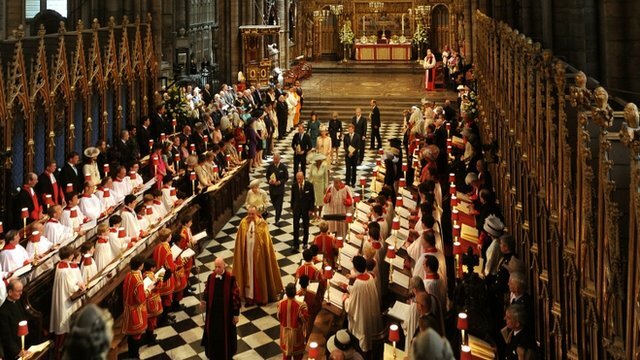 They included the heavy, solid gold St Edward’s Crown, displayed on the High Altar – the first time it has left the Tower of London since 1953. Beside it was the Ampulla, the gold, eagle-shaped bottle from which the holy oil was poured for the Queen’s anointing. The Coronation Chair, one of the oldest pieces of English furniture still in use, was also on show. The former X Factor judge Tulisa Contostavlos has been arrested over the supply of class A drugs. She had been accused over the weekend by a newspaper, who said she had introduced their reporter to a drug dealer. It was claimed the drug dealer then sold half an ounce of cocaine to them at London’s Dorchester Hotel. Newsbeat asked for a comment from Tulisa’s management but are still waiting for a response. Asked about reports that Tulisa Contostavlos had been arrested the Met Police said: “Officers from Westminster have arrested two people – a 35-year-old man and a 24-year-old woman – on suspicion of supplying class-A drugs.